Over the next few weeks, I will be working my way through the Sidekick Mini Suitcase pattern, sharing any extra tips that didn’t make it into the pattern directions, and answering questions. The printable pattern and complete directions for the suitcase are available for purchase here. 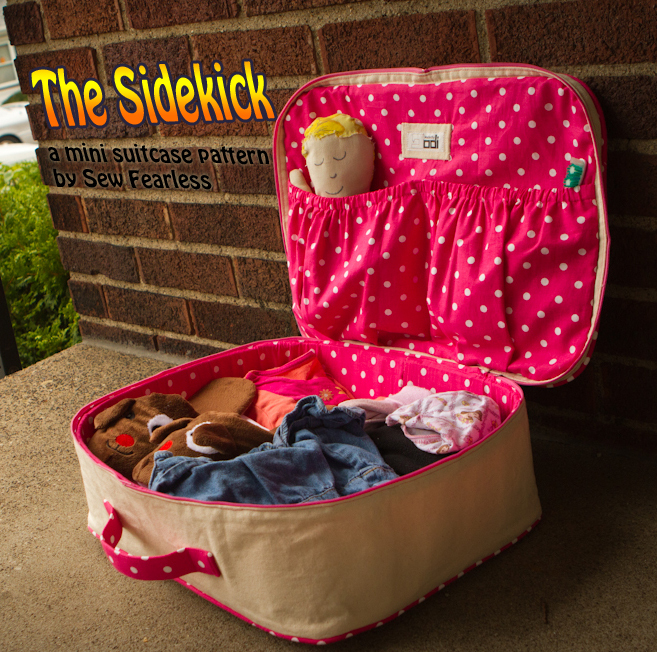 Welcome back to the Sidekick Suitcase Sew-along! Today, we are shopping our stash, and maybe the store too, to gather everything we need to sew a suitcase. A complete list is given in the directions you printed off (page 2 of the PDF), be sure to read through it to make sure you have everything before we begin. 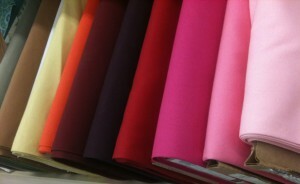 The most exciting part will be choosing our fabrics. 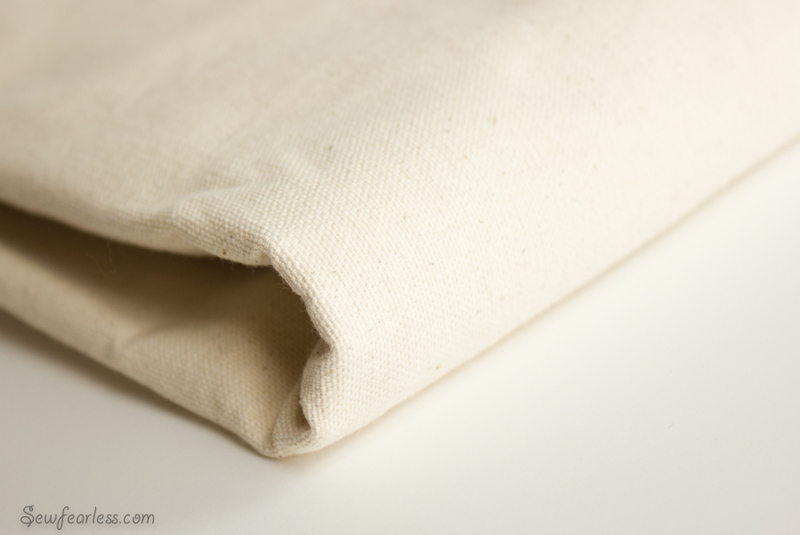 Canvas: This is the most important fabric choice you will make. The Sidekick Suitcase Pattern is designed for stiff and strong fabric. Heavy-weight canvas fits the bill the best. 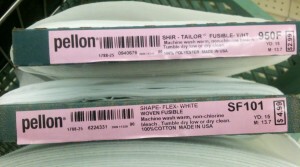 The kind I am using is labeled “Duck Cloth” and I found it with the “utility” fabrics at my local big name fabric store. I am pretty pleased by how many different colors that are available, but if you want a print, you might check out the outdoor canvas. They seem to be a similar weight and I think they would work nicely too. You will only need 2/3 of a yard if the width of the canvas is at least 54″ wide. The duck cloth I came in 6o” wide. Accent: I used a “quilting cotton” for the lining, the corner accents, handle, and piping. Any pretty mid-weight woven fabric with no stretch will do. With all the exciting prints available for quilting, you can have lots of fun here. 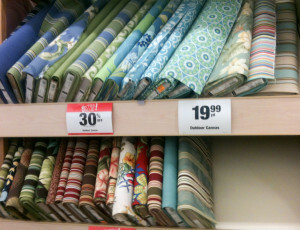 1 1/2 yards is all you need of a 44″ wide cut of fabric. 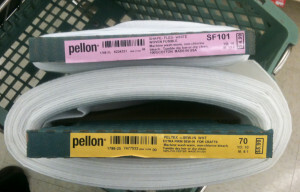 Heavy Duty Sew-In Stabilizer: I am using my absolutely favorite stabilizer for this project, Peltex #70. It’s this crazy, thick, kinda spongy stuff that will give a lot of shape to our suitcases. It takes a beating and then irons out smooth, adds support, and is sewn through easily. I prefer sew-in because I think the fusible causes unattractive wrinkling, but you can use the fusible (#71) if you like it. 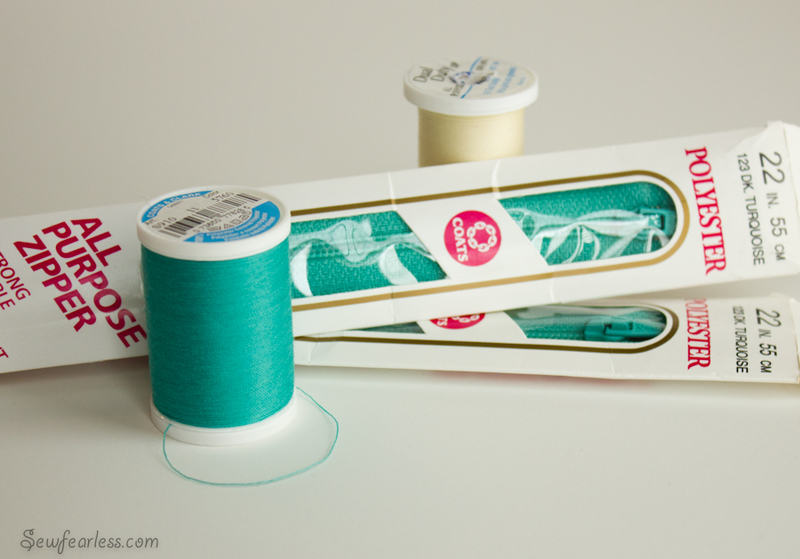 Woven Iron-On Interfacing: I will be using Shape-Flex SF101 because it is my favorite. It irons nicely without a press cloth, and doesn’t stick to my machine’s foot or plate. You can use the cheaper non-woven interfacing, just find something of a similar weight to the woven. Shir-Tailor 950F felt like it would work. 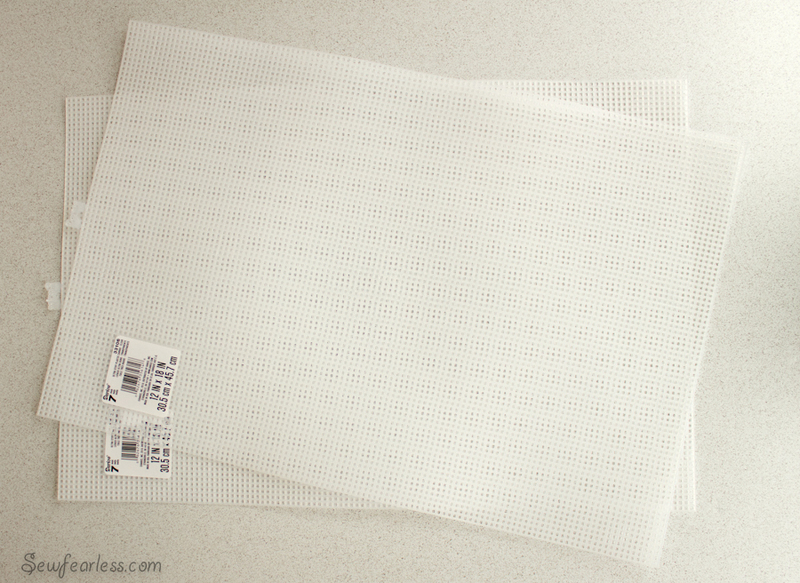 Plastic Canvas: We will be wandering out of the fabric section over to the craft area for this one. We are going to need two sheets of 12″ x 18″ plastic canvas, ultra firm if it is available. If you can’t find sheets this big, you can use smaller sheets, but you will need more of them. 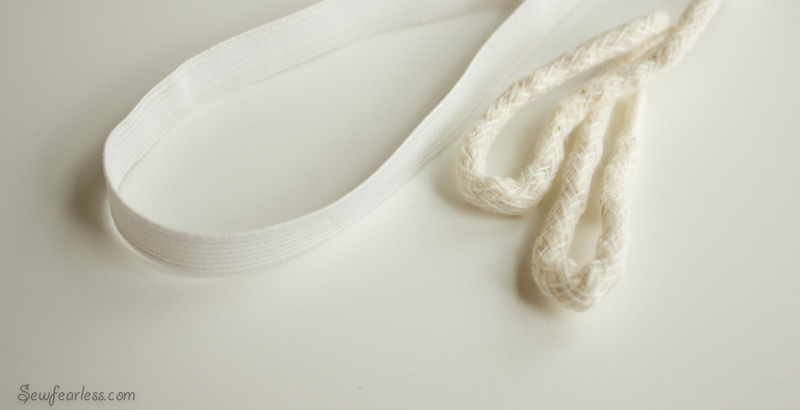 Cording & Elastic: We need 17″ of 1/2″ elastic, and also just over 3 yards of 5/32″ cording for making your own piping. 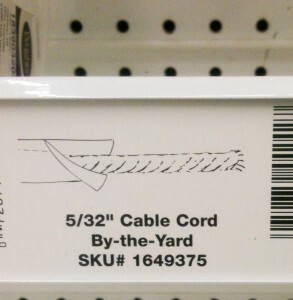 I can found mine by the yard in the home decorating section. If you aren’t up for making piping, you can use purchased piping instead. Zippers & Thread: Grab two matching 22″ zippers. Nothing special. Just your standard 1″ wide zippers. 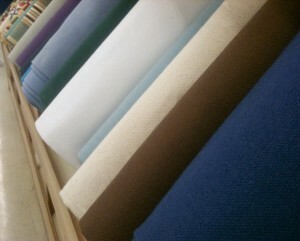 We will also need threads to match both the canvas and the accent fabrics. 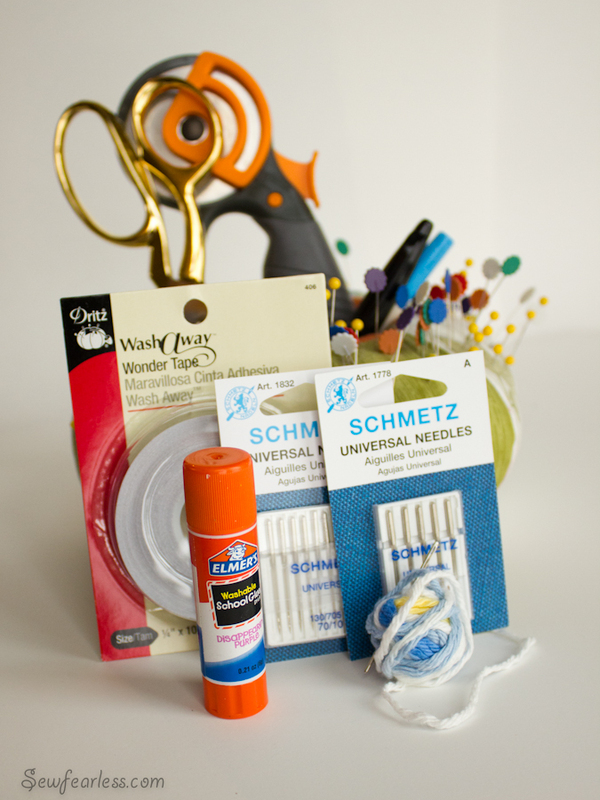 You will probably be able to find most of the rest of your supplies in your stash – scrap yarn and a tapestry needle (a fat blunt needle for the plastic canvas), Wonder Tape (a double-sided sewable adhesive), a glue stick, two different kinds of sewing needles – both Medium-weight (70/10) and Heavyweight (100/16), and the usual suspects (pins, scissors, hand sewing needle, fabric marking pens, etc). What a lovely pile of happiness this makes! I bet you are getting all breathless with excitement just looking at it. Or is that just me? Any questions about finding these? Or about substituting the recommended items with something else? Help!!! This is driving me crazy. 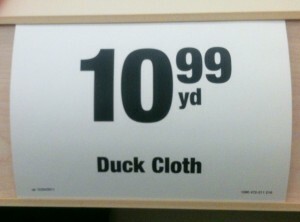 I bought 9 oz duck cloth, but I have no idea if it’s strong enough. I don’t want to cut it and sew it before I’m more sure. WHAT WEIGHT DUCK CLOTH DID YOU USE? I know I just yelled, but it’s driving me bonkers. 🙂 That is what I used. No worries. You can do this.